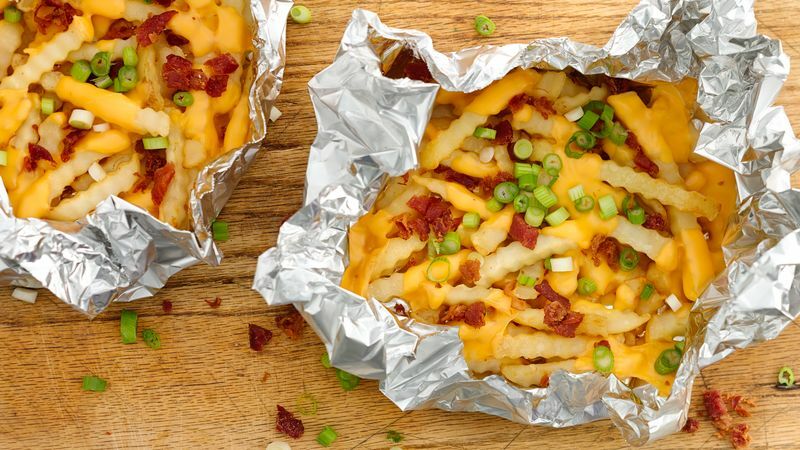 These foil-wrapped camping recipes can save any mealtime! Not only are these easy campfire recipes, but savory meals you can prepare any day. They taste just as appetizing as they look, but what’s even more amazing is the easy clean-up after. Getting hungry? 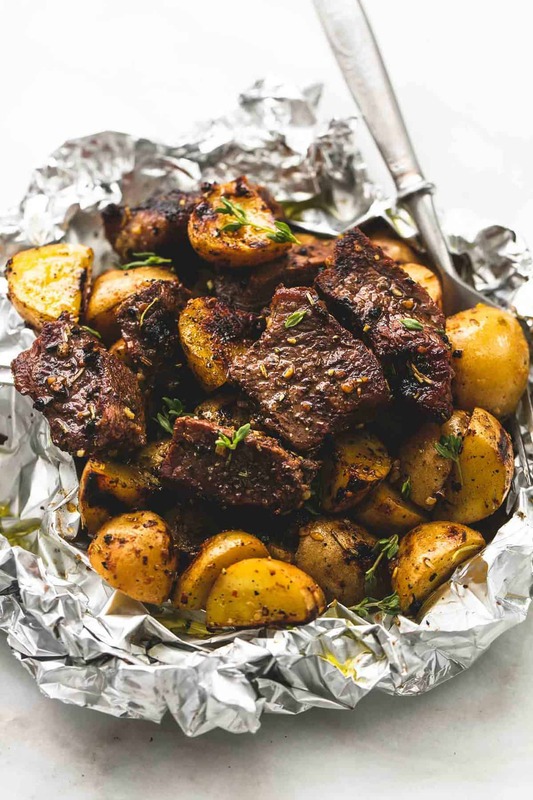 Check out these delicious foil-wrapped camping recipes and they’ll have you hankering for a camping trip right about now! 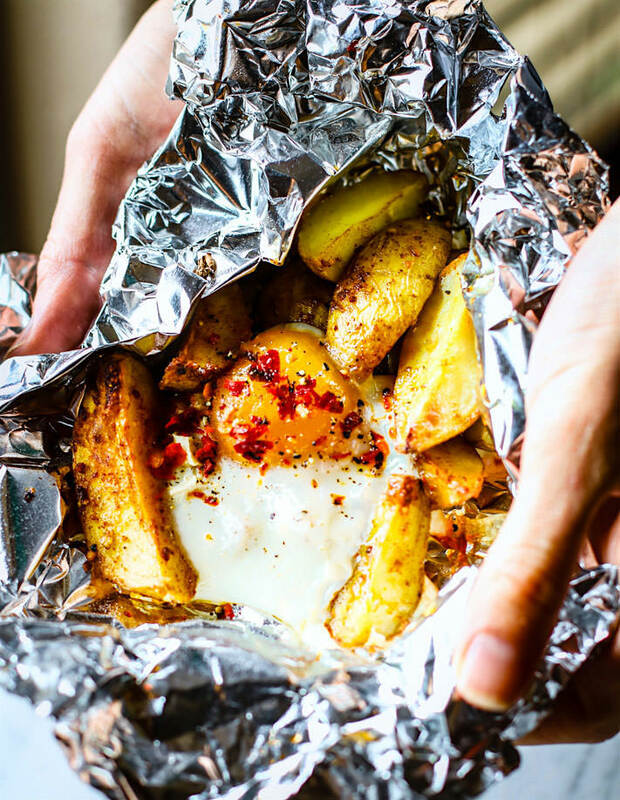 Foil-Wrapped Camping Recipes Too Tasty To Ignore! 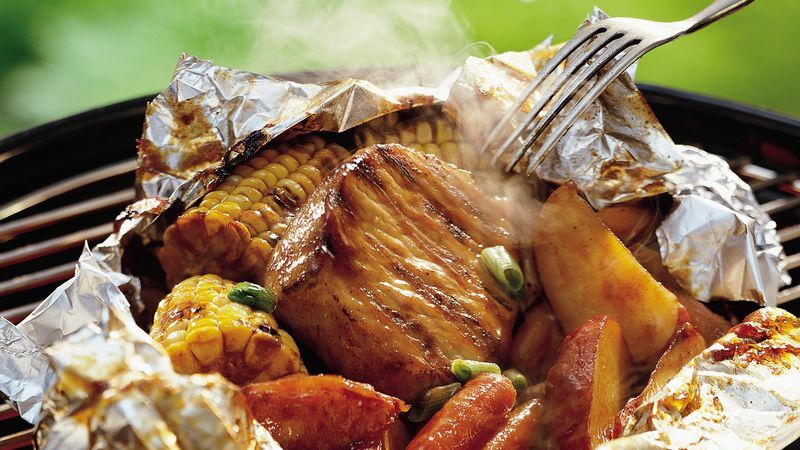 This is an easy foil-wrapped recipe you can make over the campfire. Yes, it’s baked, but you don’t really need an oven for it. Wrap it up nicely and slide it over hot charcoal to cook or bake. While this recipe has more ingredients, cooking it is really easy. Pick beef tenderloin and spread the rest of the ingredients evenly over the foil to grill. Use a flip-flop grill to cook the steak on both sides. Bacon will give this chicken foil packets a savory, smokey flavor. Fry bacon in a cast iron skillet to a crisp, chop, and sprinkle on top of the cooked foil dish. 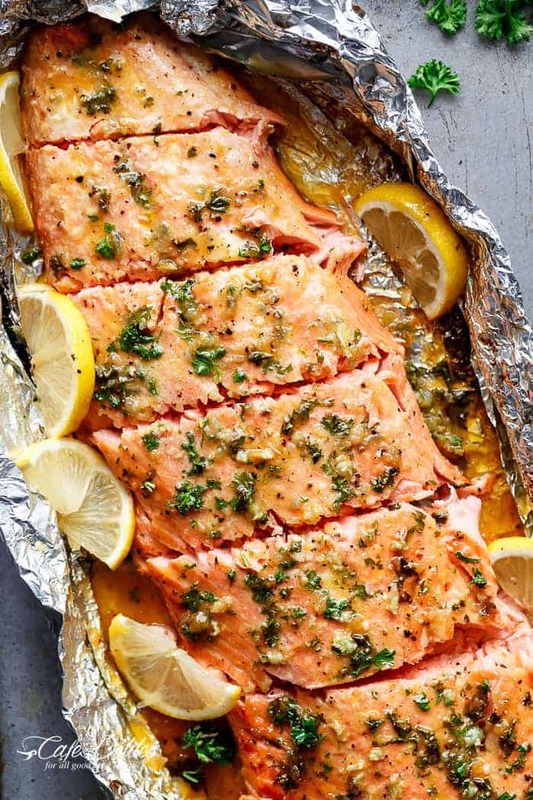 For your first meal, pack this salmon in foil and keep it fresh! Get the grill ready at camp and cook this recipe first. Or, you might catch yourself some fresh salmon, so always have some tin foil handy. We love steak cooking in foil, with all the juices saved in the pack. Give this steak recipe a try to find out what we mean. 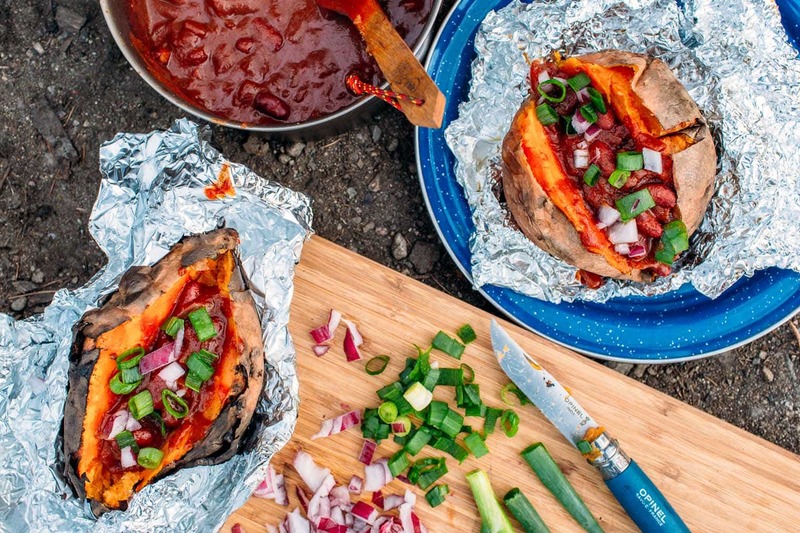 Baked sweet potatoes and chili are best cooked and eaten right by the campfire on chilly days. You will never have a more satisfying campfire meal. Make an easy flavor-packed side dish that’s oh-so-healthy! This garlic parmesan and potato recipe will be the perfect side to any foil-wrapped and grill-cooked main dish. 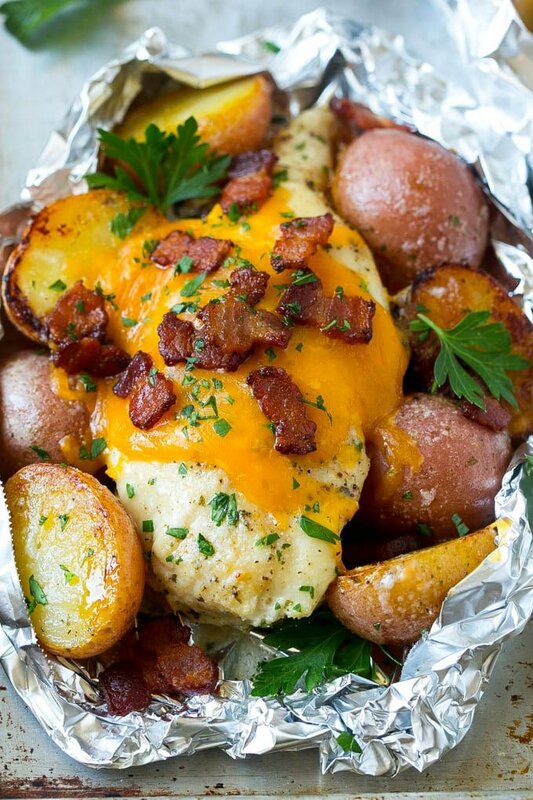 We’ve got quite a few chicken foil packet recipes here, but this one is looking extra tasty. The melted Mexican cheese seems to be responsible! We can never leave out delicious corn from a campfire menu. In fact, we are going to make it tastier by cooking it Mexican street-style. 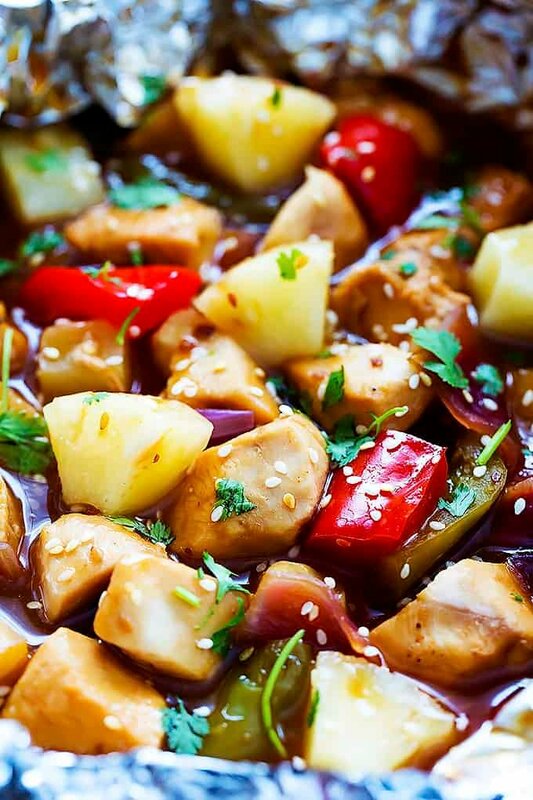 It will take you less than 10 minutes to cook this yummy dish. It’s a complete meal in foil. See it here. 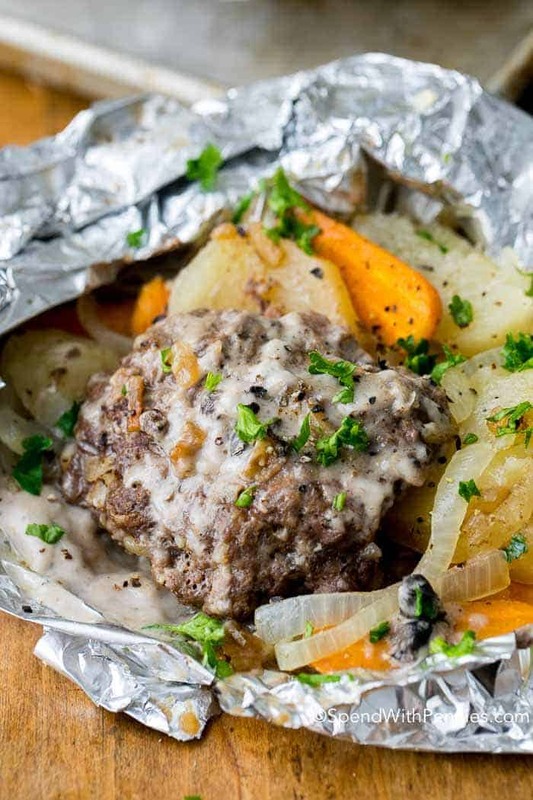 If you want an easy beef recipe, take this hobo dinner foil packet recipe. With hamburgers and potatoes, your dinner is ready in a jiffy. Healthy tomatoes and basil go right with fish, which helps drown out the fishy smell. 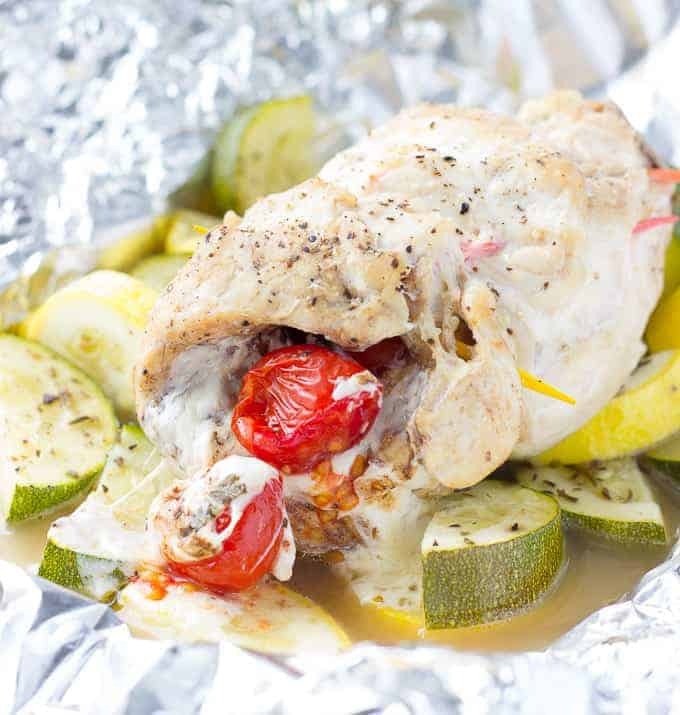 Cook fish, tomatoes, basil, and all in a foil pack to trap the flavors. Start with a Caprese salad and end up with a delicious chicken dish your whole family can enjoy camping. Get the recipe here. Want to have something sweet and savory out in the woods? Then this pineapple and chicken in a foil packet is what you have to make. 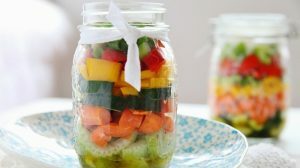 This is a super quick and easy veggie in foil recipe. But don’t take it lightly because any main dish isn’t complete without its rightful side dish. For this recipe, any white fish will do, but cod and halibut will be great. 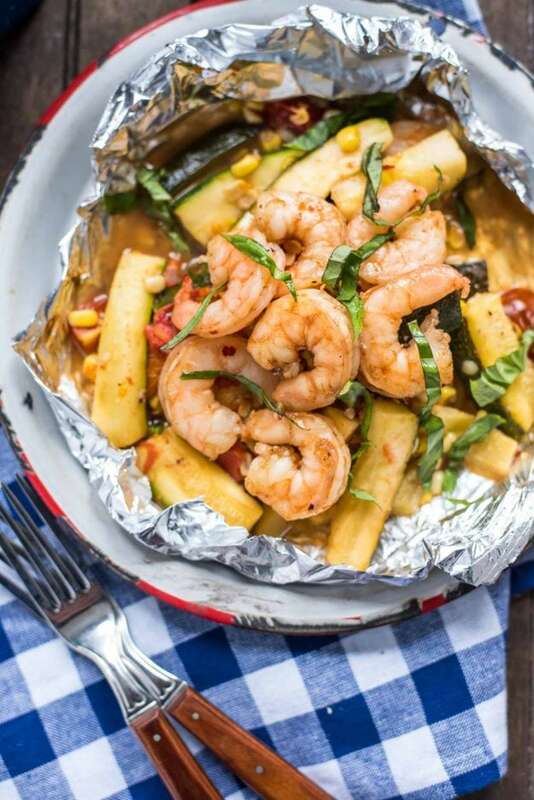 You can cook this fish foil packet recipe with an Asian flair, even over a campfire. You can prepare these foil-wrapped fajitas ahead of time. This is perfect to pack along in a spur-of-the-moment camping trip. S’mores are a campfire classic and are here to stay. This list will not be complete without this version of s’mores cooked in tin foil. Shrimp is already tasty as it is, but we want more. Along with salt and pepper, add garlic, lemon, and chive for a more sophisticated flavor! 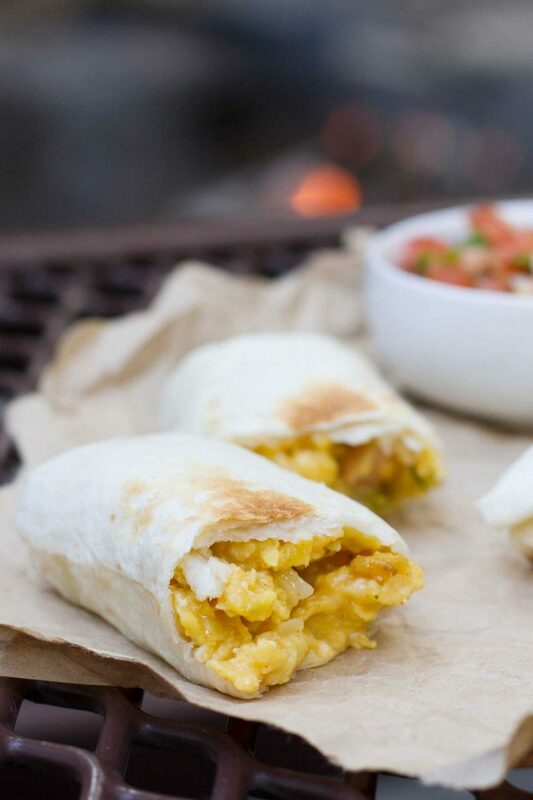 A breakfast burrito is simply comforting, all the more when enjoyed outdoors. Wrap them up nice and snug and lay them over some hot charcoal to cook. Marinate pork in this delicious pork barbecue recipe. It will help tenderize the meat and absorb the flavors for quick cooking. You will never have enough of this tasty meal once done. We can’t get enough of shrimp, especially when camping. They are simply appetizing, especially in this honey, garlic, and zucchini dish in a foil pack. 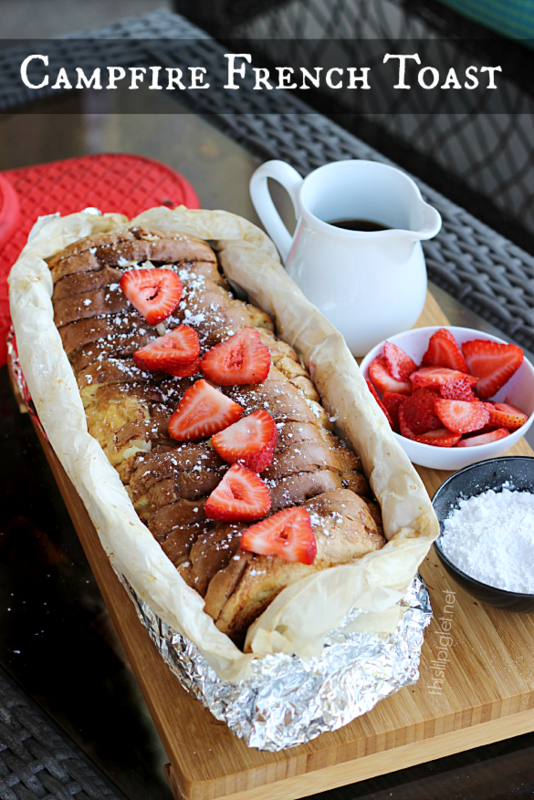 Take a slice of this French toast baked in a foil, and you’ll feel like you never left home. You can bake this recipe in a grill, but you may also use a Dutch oven. There’s nothing more comforting outdoors than potatoes smothered in cream. Good thing these thinly-sliced potatoes cook well in foil, even on a grill. There’s no denying, Cajun cuisine is some of the best comfort food out there. 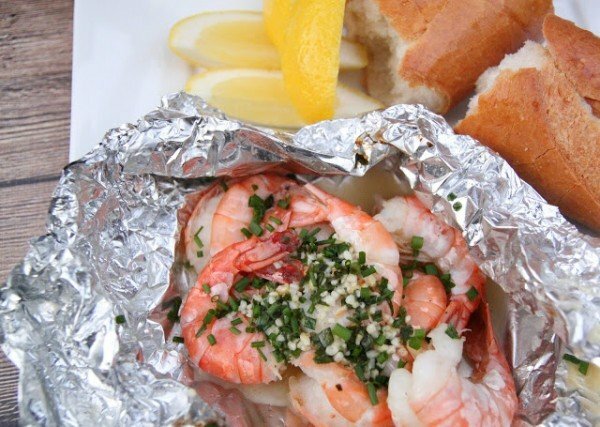 Cajun shrimp also comes in foil packs, which taste just as great. 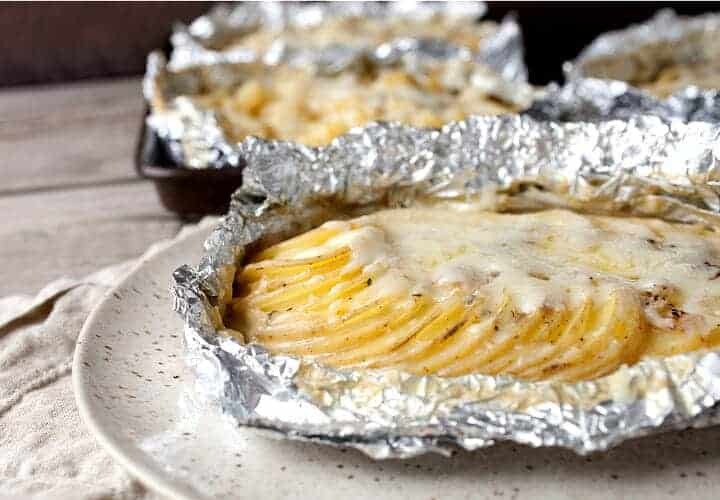 These cheesy fries in a foil make great snacks for when it’s time for ghost stories! They’re best enjoyed hot and smokey, you know. 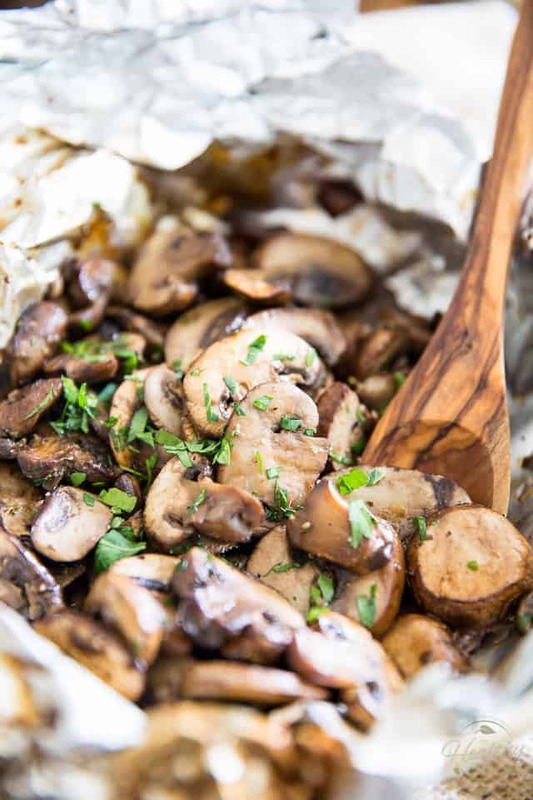 Whether it’s chicken, beef, pork or seafood cooking in your campfire grill, this mushroom foil pack is the perfect pair. 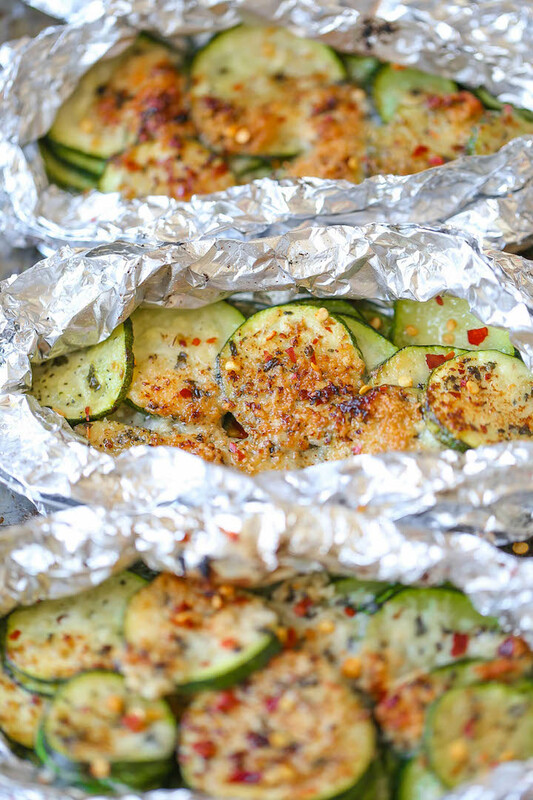 Pack the ingredients in a foil and cook in a preheated grill or oven. This Mediterranean salmon recipe is a seafood feast like no other. It’s a complete meal, plus it’s healthy too. Best of all, it cooks quick and easy! Paella does sounds complicated but not this campfire paella. It’s a literal dump-and-bake recipe, all in a tin foil and over a piping hot grill. If you lean more towards the gourmet camping recipes, this honey garlic butter salmon is perfect. You wouldn’t think gourmet meals also cook in foil, but they do! For easy campfire meals, look no further than chicken and potatoes. Wrap them up in foil, season, add honey and mustard, then bake in a preheated oven or Dutch oven. Or simply grill them over a campfire and enjoy! A campfire isn’t complete without hotdogs on skewers. Give your hotdogs a twist by wrapping them in crescent roll dough and foil, then grill! Finish off a hearty campfire meal with some sweet cinnamon rolls with hints of orange. The secret? Cook the rolls in hollowed-out oranges wrapped in foil and cook them right in your campfire! 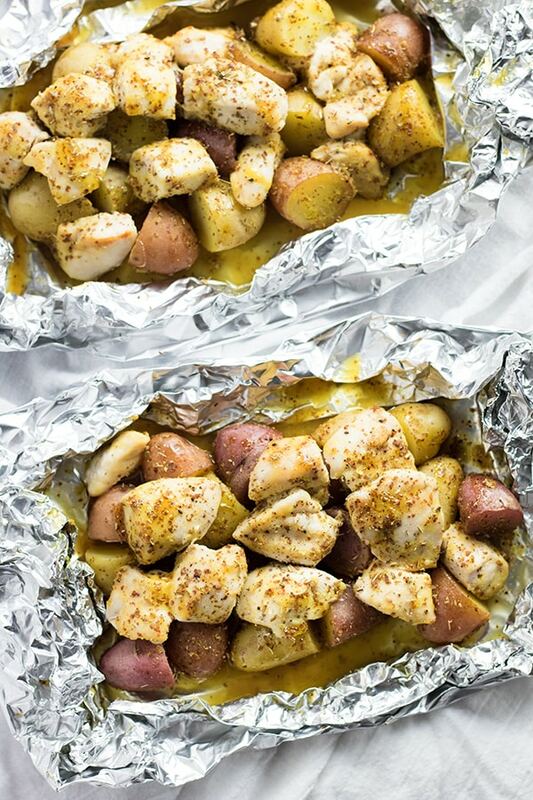 Whether you like camping or not, you will love these foil-wrapped camping recipes. Follow the recipes to the letter and have salt and pepper on the side. 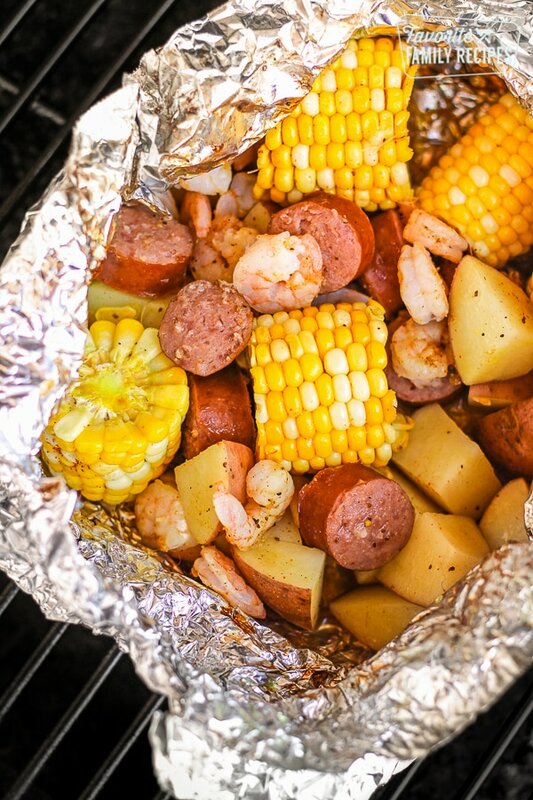 Enjoy these foil-wrapped camping recipes even in your own backyard! 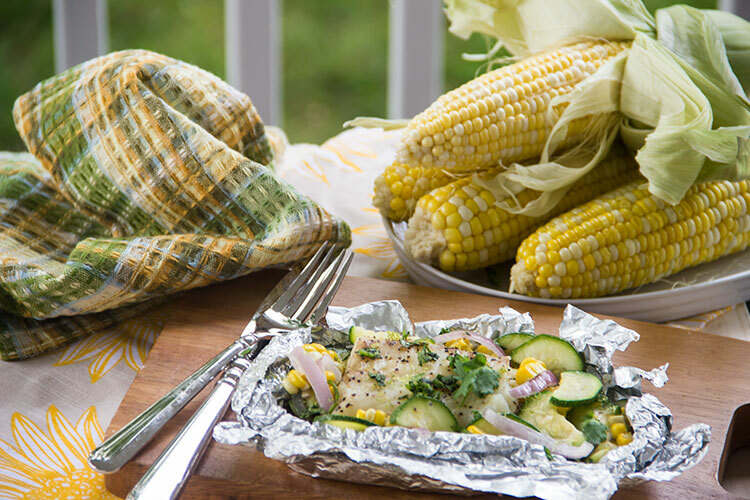 Which of these foil-wrapped camping recipes made it to your menu for a camping weekend? Let us know below in the comments! Editor’s Note – This post was originally published on April 7, 2017, and has been updated for quality and relevancy.